This sub routine CANNOT be renamed because it is triggered on the workbook opening. 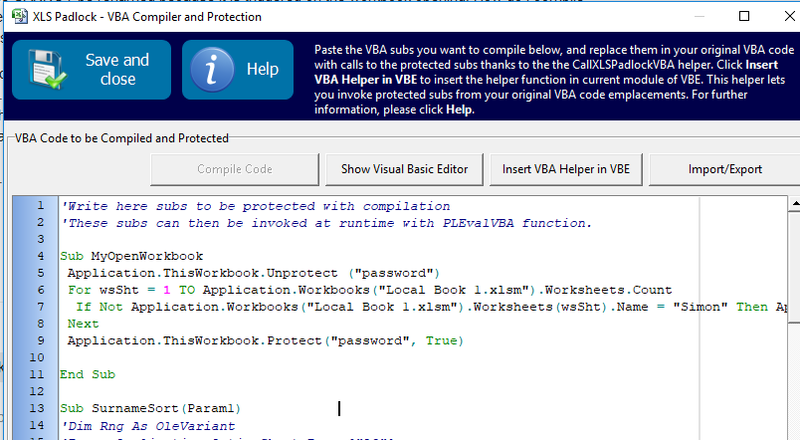 How do I compile in VBA compiler? What do I paste into the compiler window & what do I put back into the VBA editor in my original spreadsheet before compiling the exe?